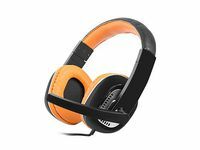 JBL E35 on-ear headphones are style and substance, all rolled in one, delivering signature JBL sound. 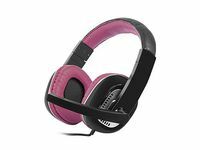 An innovative, stylish fabric headband and ergonomic on-ear design means that your entertainment continues and your fun factor gets amped up no matter what you’re doing – working, commuting, or just making your way around town. Its detachable, tangle-free fabric cable, the sleek, fold-flat design and a one-button universal remote are added features that make the E35, the perfect choice. Available in 5 distinctive colors, the E35 accessorizes your life with color and fun.